Grief is a fire that burns slowly. There are no flames high as with anger. 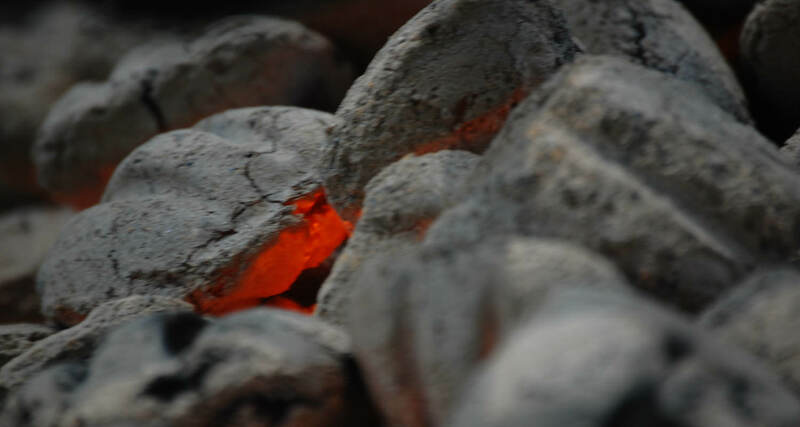 The coals are hot just below the surface, smoldering. “How did that make you feel?” Peter asked. I lifted my face from my hands. Sweat had gathered on my forehead. My breath was thick and cotton mouthed. For six years, I had been unable to confront my dad’s death and the aftermath head on. It wasn’t so much that I avoided facing my dad’s death as it was I didn’t feel as if I was strong enough to face his death. Whenever a thought arose of my dad, I could only gesture to it, not embrace it fully for if I embraced it fully a sadness would overtake me, and that sadness made me feel weak and as if it were the path to something more dire. Grief had consumed me like a fire, smoldering just below the surface within the enclosed walls of my self. There were periods of longing and anger, laced with a numbness to the world around me that fueled this great depression I could not douse from my life. In 2010, ten months after my dad died, the result of what can only be best characterized as a depressive breakdown that only a small few in my life were aware of, I began chipping away at my depression little by little; but it was not until 2015, six years after my dad left this world, when I sat down for the first time to talk to a counselor, that I took a sledgehammer to it. The brick wall was beginning to crumble. Following a death, those left in its wake receive comfort and kind words in the immediate aftermath. But it is not the immediate aftermath when trouble takes hold for the widowed. Trouble takes hold at a time when the storm clouds move out and the blue sky appears—when you have to return to your normal everyday existence when normal no longer exists for you any more. Save for the terror that afflicted me in the night, after my dad died I was mostly at peace with his death. I had seen firsthand the pain he experienced, had listened to his every word when he told me of this pain, and so there was relief he no longer suffered physically in this world. But depression is a snake that keeps its belly low in the tall grass. And I had been the prey all along, unaware I was standing within striking distance. Subscribe for free to get updates of new posts by email. Wow…that’s word spoken from a true heart. That’s really nice of you to say dm. Writing helps me work through it all — get it out and make sense of it. I’m glad it helps others too.